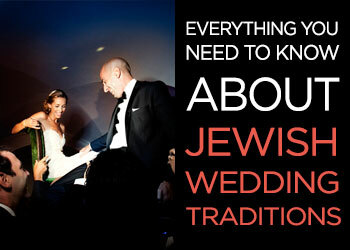 Every so often we come across a Jewish wedding that’s truly unlike any we’ve seen before. And that describes fashion designer Jordana (while she works on launching her own line, Luzhi, she’s running travel-inspired Etsy shop Luzhi Foudre) and IT worker by day, foodie by night Uri’s big day to a tee. 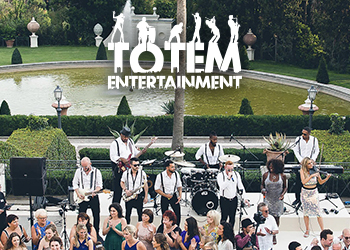 We know words like “magical” and “enchanted” get thrown around a lot in the wedding biz, but this one truly is all that and more. 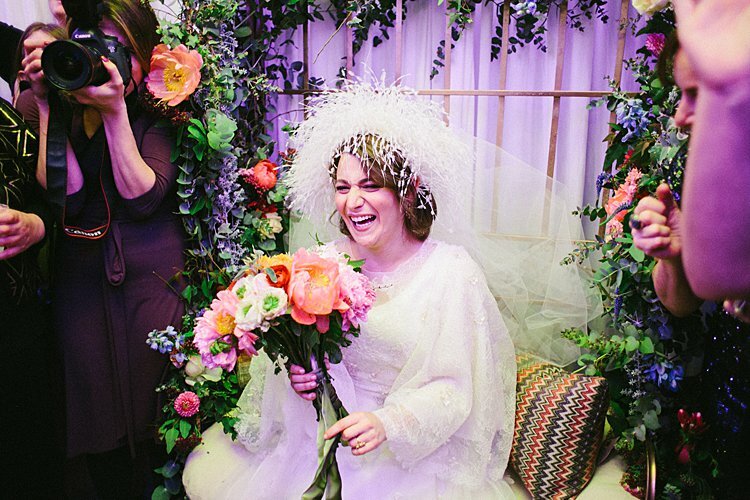 The lucky bride just happens to be the daughter of a phenomenal wedding planner, Smashing The Glass Recommended Vendor Penny & Co. Events, so it’s no surprise Jordana’s “out of the box” (in her own words) celebration was one for the books. 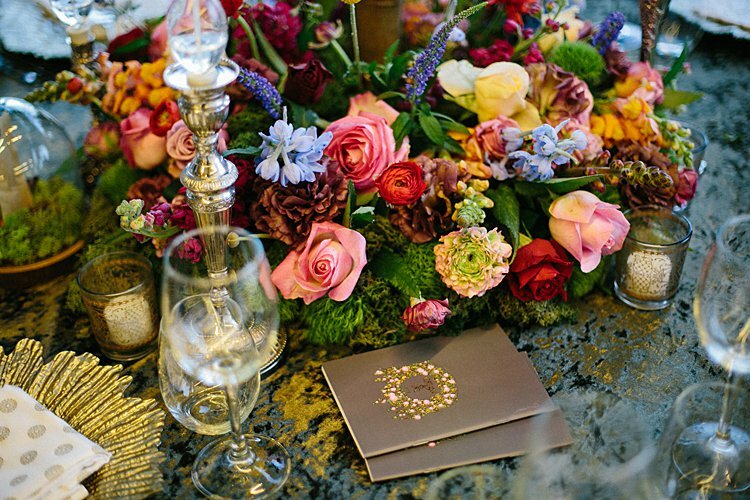 First off, we’re totally obsessed with the flowers – from the bride’s big, bold, bright bouquet to the show-stopping table centers, the lush, wild vibes are off-the-charts amazing. 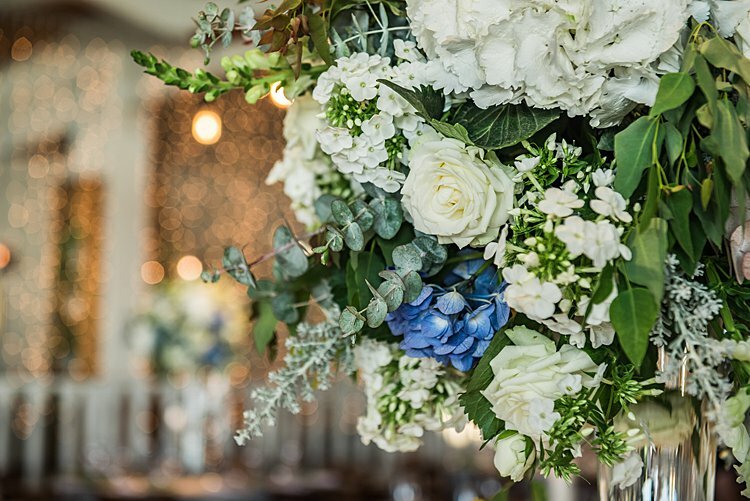 This wedding took place in the middle of winter, but you’d never know it thanks to mom’s ingenuity – which encompassed everything from hanging greenery to custom green velvet tablecloths. 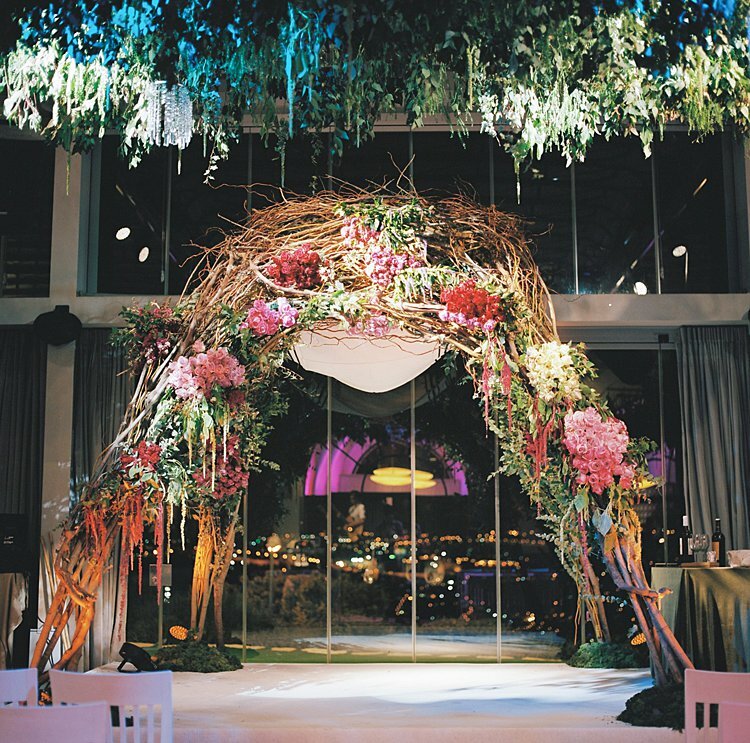 And the couple’s enchanted garden chuppah is truly like no other we’ve seen (and we love that the couple were seated underneath it during dinner afterward – such a smart way to make the most of this special structure). You’ve simply got to see Sigala Photography’s inimitably stylish snaps and Reouven Photography’s moving trailer for yourself. 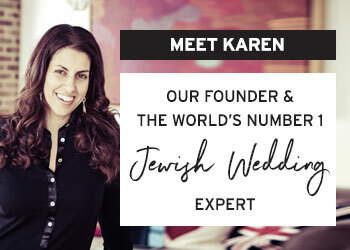 As a bona fide fashionista herself, it’s no surprise that Jordana went for something totally unique – and totally gorgeous – for her big day. 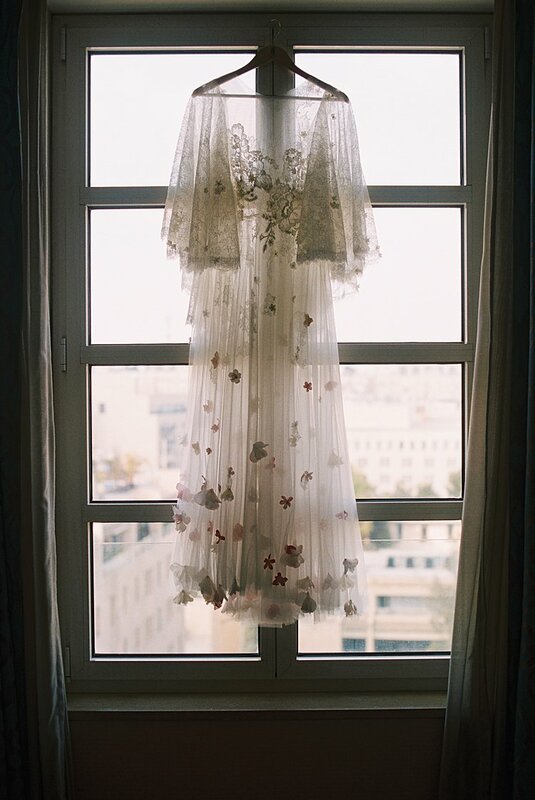 Mega-talented NYC-based designer Samantha Sleeper created a bespoke two-piece design consisting of a simple slip dress and a detailed overlay, inspired by the bride’s favorite designers, Valentino and Rodarte. We’re obsessed with the cool capelet back – and the couture feathered headband the designer gifted Jordana to complement her wedding day look. 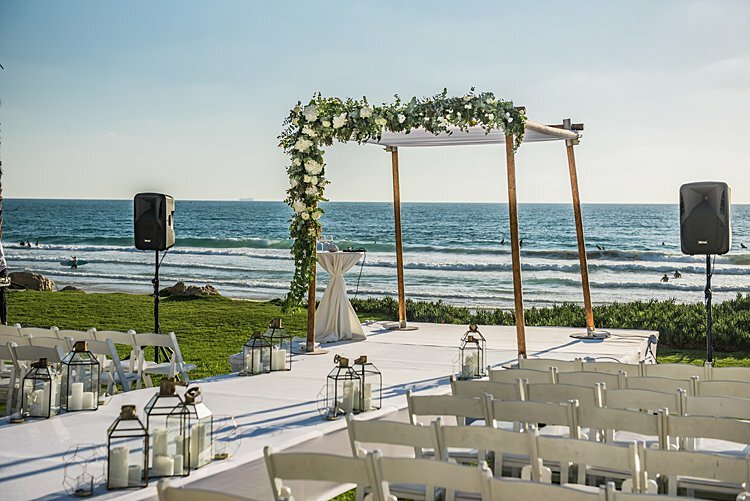 What is it about beach weddings? 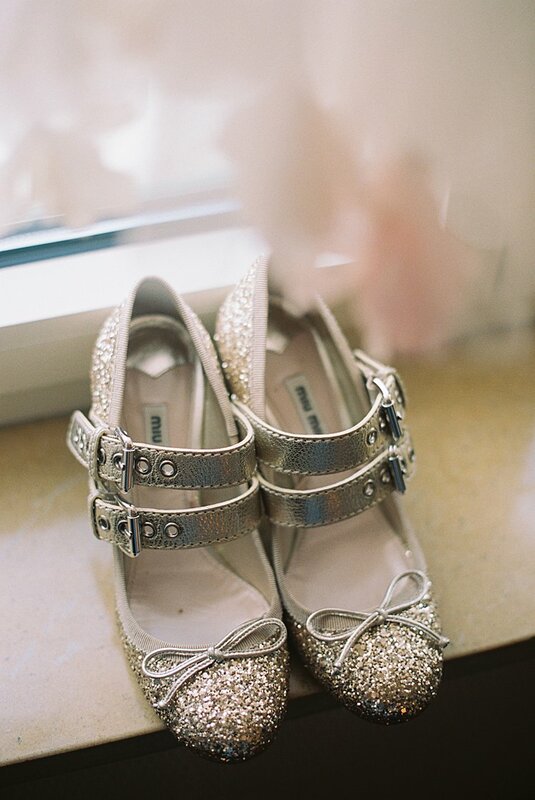 Whether they’re in Israel, Florida, or somewhere further afield, we just cannot get enough of them. That blue water, the sound of the waves… throw in a palm tree (or several) and we’re sold. 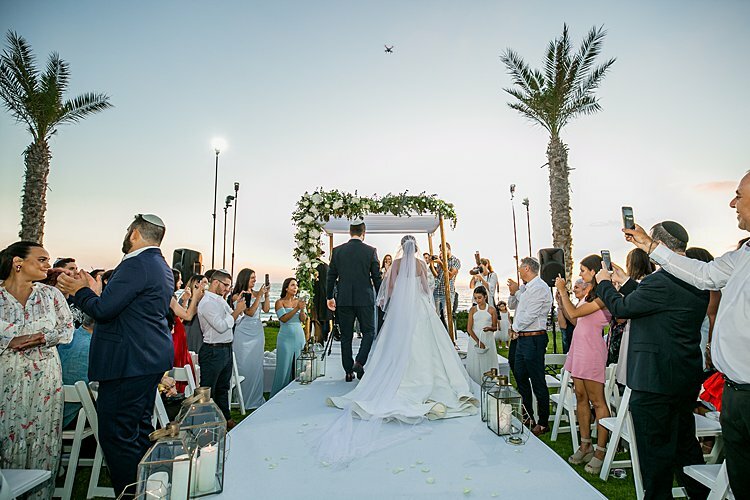 And oceanside venues don’t get much dreamier than Kochav Hayam, where Milen who works in HR, and Arad, an accountant who also owns a judo club, held their stunner of a Jewish wedding. 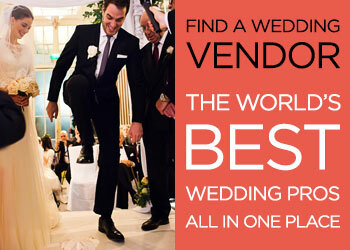 From the exquisite sunset ceremony to the magical twinkly lights in the indoor reception hall to the lovely floral chuppah decked out in white flowers and greenery, it’s a seriously beautiful day — captured so exquisitely by Smashing The Glass Recommended Vendor Herschel Gutman, who worked his photographic magic to capture the most luminous, elegant images. Videographer Roey Harazy was no slouch either — he surprised the couple with a drone (!) on the day, which he used to capture some absolutely breathtaking footage of the Caesarea coastline. 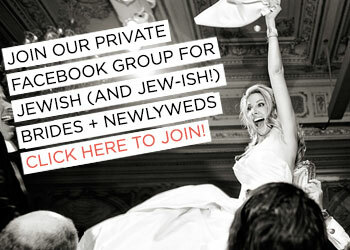 Milen, the bride: We both graduated from IDC – we met in the cafeteria!